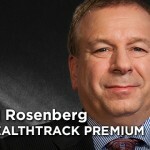 It was pure happenstance that renowned financial economist, David Rosenberg, fell into majoring in Economics in college. He is lucky he did, because he is a very good economist! SEEK SAFETY AND INCOME AT A REASONABLE PRICE = S.I.R.P.